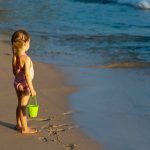 With all that sand beneath our feet this summer, it’s hard for some beachgoers to resist the urge to just pick up a shovel and start digging – whether they are aiming to create a hole for the kids to play in, or maybe just can’t seem to give up on that childhood dream of digging a hole to China. Whatever their reasons, it’s important that we are all aware of the dangers associated with digging holes and tunnels on the beach and understand that it can lead to serious injury or death. Not only is it dangerous, some communities on the Outer Banks, such as Nags Head and Corolla, now have ordinances in place regulating the digging of deep holes on the beach. 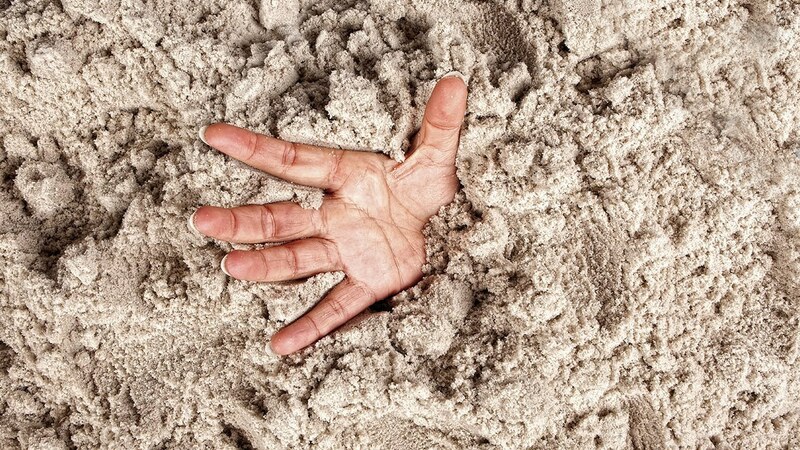 A 2007 study revealed that there had been 52 cases of sand-hole collapses worldwide over a 10-year period, with 31 of those resulting in death and many others requiring rescuing, first aid, and CPR. 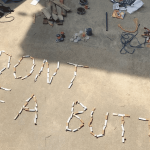 Unfortunately, nearly every year another preventable tragedy is reported either in the United States or overseas in which a hole or tunnel collapses on an unknowing beachgoer who was just looking to have a little fun. Here on the Outer Banks, in 2014, a Virginia man died on a Cape Hatteras beach after sand caved in on him while attempting to dig a tunnel between two holes. Last summer, a woman vacationing in Ocean City, Md. died after falling in a large hole that collapsed on her. And just this year, in February, a father playing with his kids on a Florida beach died in the hole he was digging when part of a dune caved in on him. Aside from the very real threat of collapse, there are other important reasons to be mindful of the holes you dig on the beach. Lifeguards and other emergency responders need to be able to navigate the beach safely and often quickly. Holes create a major hazard for the personnel who travel on four-wheel drive and other off-road vehicles. Holes can also pose a serious danger to other beachgoers walking or running along the beach, particularly at night. Beachgoers have been known to fall into holes, or seriously injure themselves when they inadvertently step into them. And finally, holes pose a threat to wildlife such as sea turtles making their way to and from the water’s edge during nesting season, as well as birds and other marine life. Never dig a hole deeper than the knees of the smallest person in your group. Always fill in the holes you do dig each time you leave the beach for any period, whether during the day or at night. Do not dig near the dune line or waterline where emergency vehicles regularly travel. Never (ever) attempt to dig a tunnel on the beach. Remember, there’s no reason to rid your beach toy supply of your child’s favorite plastic shovel and bucket. 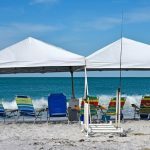 Just keep in mind that there are plenty of fun and safe ways to enjoy the beach. Digging deep holes isn’t one of them, and can turn a trip to the beach into a tragic accident. 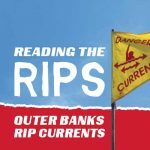 Knowledge is power – More OBX Beach advice here. Feature image via Discovery Channel News.